At the heart of any performance appraisal system lies the meeting between each employee and his or her immediate manager at which the employee’s performance is reviewed and plans are made for the coming performance cycle. But the formal performance review process is widely disliked by managers and employees. According to statistics from CEB (now Gartner), 95 percent of managers are dissatisfied with formal performance appraisals, and nearly as many HR professionals (90 percent) think the appraisals are inaccurate. And the annual review is often a very stressful event for employees, especially if the results of their performance review are tied to their pay increase. Here are seven ways to improve your organization’s performance reviews and reduce their negative perception so they don’t feel like going to a tax audit. 1. Write goals at the start of the performance cycle. Supervisors should discuss their employees’ long-term aspirations with them and put the mechanics in place for employees to achieve their goals. Clearly defined key performance objectives (KPOs) should also be established so the employee understands the criteria that will be used to evaluate performance. A self-evaluation form may help an employee when considering KPOs and setting goals. If an employee has not performed well in an area that is central to those goals, he or she should focus on development in this area. But if it’s an area where the employee has been focusing for some time with little improvement, the manager might need to help the employee review his or her development goals for the coming performance period. 2. Give employees regular one-on-one feedback, not only during the performance review. 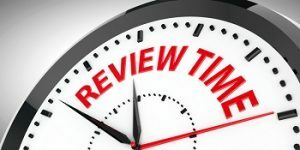 A recent survey shows that more companies are moving away from the traditional once-per-year review in favor of shorter and more frequent reviews and feedback. Even if your organization chooses to stay with an annual performance review, supervisors should provide regular feedback to employees to help them recognize their strengths and areas where they can improve. Doing so helps them to make realistic choices about their career development and also makes it less likely they will be surprised about feedback during a performance review. It is important that employee conduct or performance issues are not saved up until the annual review. Doing so can cause an employee to feel that issues were allowed to fester with no opportunity to understand and correct the problem. It also subverts the review from a forward-looking, positive and motivational process into one that looks backward and is seen as punitive. 3. Provide managers with training on the performance assessment system. The best designed performance system will not be effective unless supervisors and managers are trained to conduct the reviews properly. It’s crucial to ensure that all supervisors conduct employee performance appraisals consistently to lend credibility and fairness to the performance appraisal process. When employees believe the process is fair, they are more likely to take it seriously. In addition, this reduces the risk of discrimination, retaliation and harassment complaints relating to the appraisal process. Supervisors and managers who conduct appraisals need to know not only what to do, but what not to do! For instance, appraisals should reflect the employee’s conduct and job performance, and not personality traits. 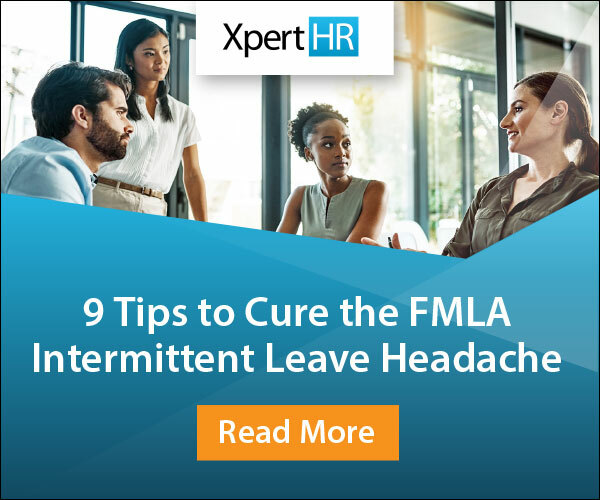 The manager also should not make any inappropriate comments, such as referencing an employee’s FMLA leave usage or suggesting that an employee should think about retiring due to their age. Examples of objective criteria include a certain amount of sales or output achieved, projects completed on time, or problems resolved. Focusing on objective facts keeps the conversation from becoming personal. Clearly, some KPOs that require independent and creative action by an employee will require subjective evaluation to some extent, but overall criteria should be valid, job related and a reliable measure of the skills needed for the job in question. The criteria that are developed for any particular job category should be uniform with respect to all employees in the same job category. Uniform criteria should also be created for employees across the organization who may be in different job categories but who share the same goals, such as achieving the organization’s mission or following safety requirements. 5. Require managers to support the ratings given to employees. Often, a performance appraisal form is used to provide feedback on an employee’s performance. Feedback needs to provide enough information and detail to be useful in moving the employee’s performance forward. Merely stating that, for example, an employee needs to improve his or her time management skills does not help the employee understand the supervisor’s view of the situation. Further commentary can help. For instance, perhaps the supervisor has noticed that deadlines are met, but always at the very last minute or in a rushed manner. Specific examples will help the employee to understand the assessment given. The more complete feedback will also allow the employee to share her or his perspective of the situation and engage with the supervisor in planning how to improve. 6. Set aside enough time to review comments before the performance review meeting. The appraisal meeting should be an interactive and collaborative process in which both the employee and supervisor have a chance to prepare in advance and to speak at the performance appraisal meeting. A performance appraisal, especially if tied to a compensation decision, should not be taken lightly or handled perfunctorily with minimum preparation. Consider giving employees a copy of their appraisal before the meeting so they may have any initial emotional reaction in private, and have time to prepare their response. 7. Give employees the opportunity to respond to the review afterwards. The most effective performance reviews are those that become an ongoing dialogue between the employer and employee, in which each is afforded the opportunity to share their views of the employee’s performance and to offer suggestions on how to best move forward. If an employee disagrees with a negative review, provide the employee with the opportunity to draft a response to attach to the review. This helps assure the employee that his or her views have been acknowledged and documented, and may lessen the risk of a future discrimination claim by a disgruntled employee. What would you do to fix performance reviews and improve the process? Let us know by leaving a comment below.